Spotify mobile app launches for Windows Phone 7 | What Hi-Fi? Spotify has launched an app for Windows Phone 7. The company's seventh mobile app, it will work on "a wide range of Windows 7 devices". As with all Spotify mobile apps, a premium subscription is required. The app then allows you to stream music, access playlists and listen offline. Nokia recently announced its first Windows 7 phones, and you can read our review of the new Nokia Lumia 800 in our January issue, out on December 14th. 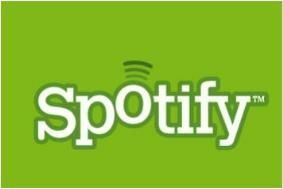 Spotify has extended its reach further by adding the Spotify Mobile app to Windows Mobile phones. The app is compatible with Windows Mobile phones running 6.x software and will also, Spotify says, work with the imminently arriving Windows Mobile 7 phone. Spotify Mobile for Windows Phone can be downloaded from the Spotify website now and will shortly be available on Windows Marketplace. The app supports streaming over WiFi or 2.5/3G, allowing you to search and play anything from Spotify's 10 million+ library of songs. Features such as offline playlists and on-the-fly syncing between devices have also made the leap to the Windows Mobile version. Windows Mobile is the operating system on mulitmedia phones such as the HTC HD2 and the Samsung Omnia.